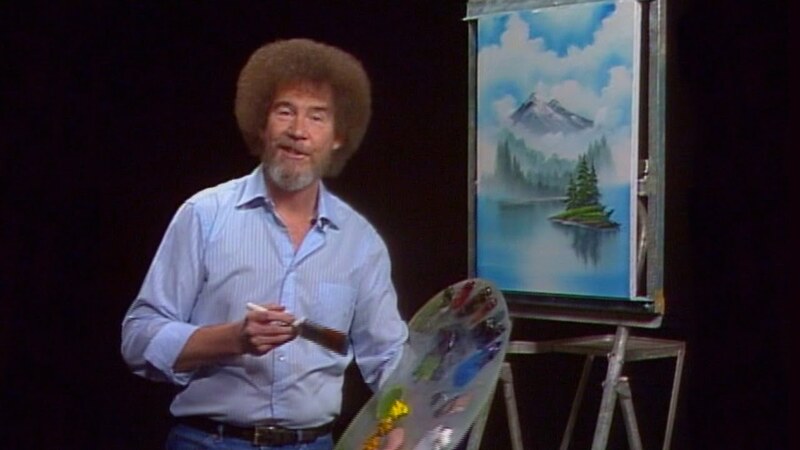 Bob Ross is an absolute treasure. 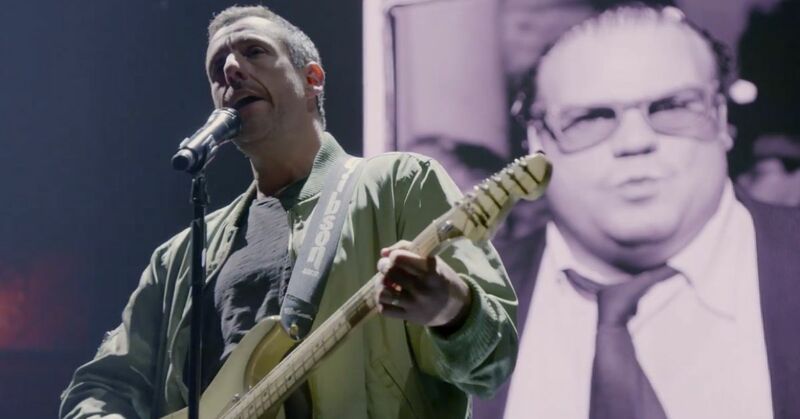 There is no doubt in my mind that he was a saint and we were lucky to have lived at a time where we could witness his genius. His ability to calmly paint some of the most stunning pictures while giving out little pieces of wisdom that apply so well to everyone's lives. 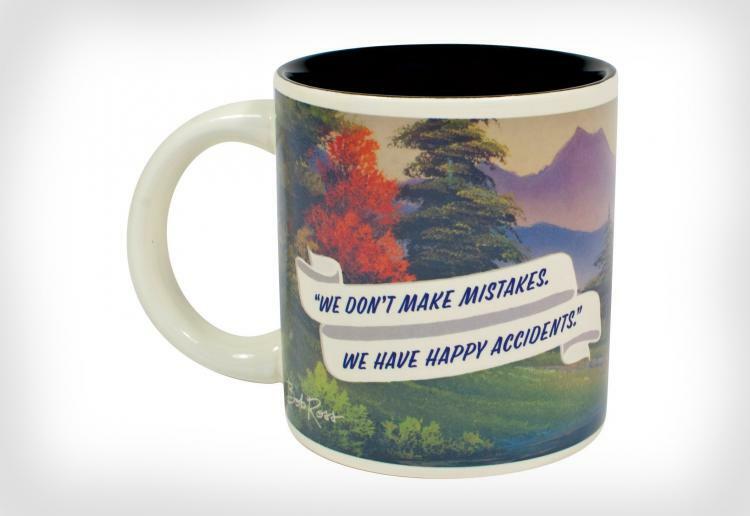 There are no mistakes, we have happy accidents! 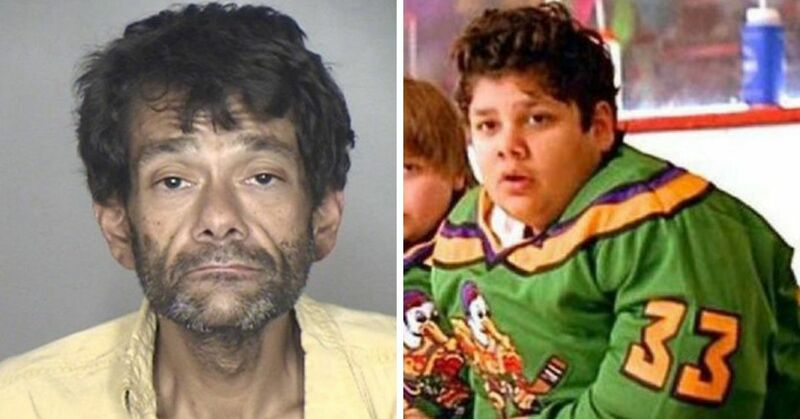 He is full of joy and cheer, and has managed to bring an entire generation of people joy. 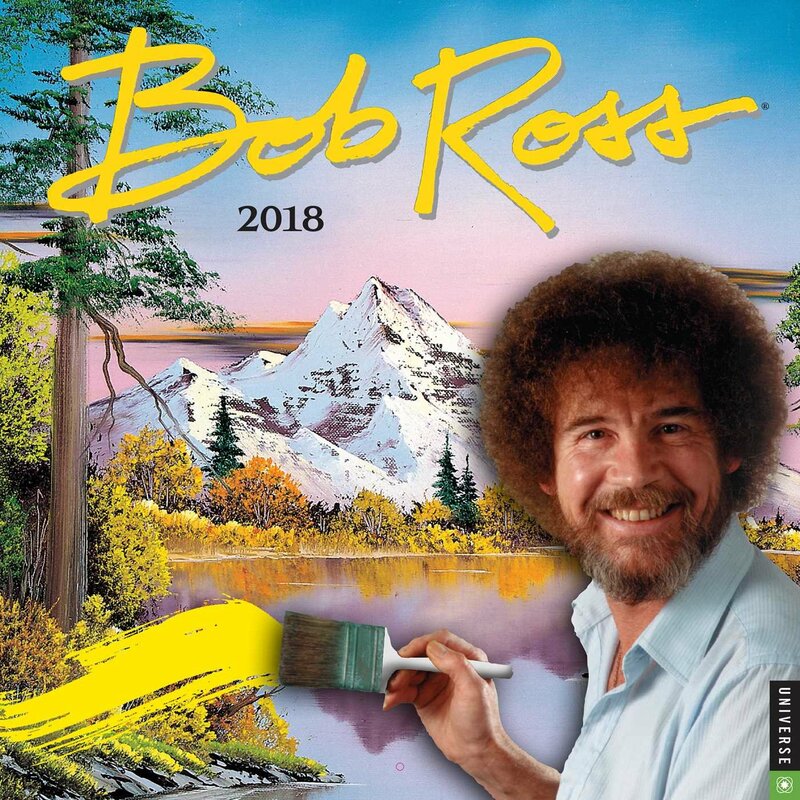 It seems now more than ever we need his positive demeanor and cheerful nature, and people have found a way to bring Bob Ross into every part of their lives. 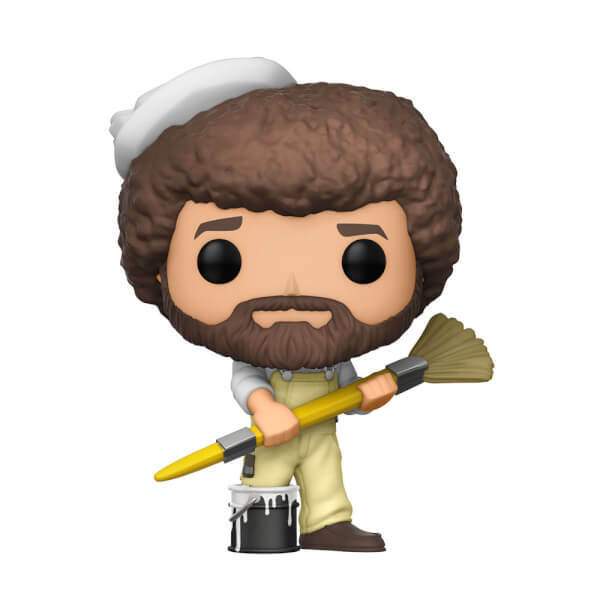 There are so many different products you can get that are inspired by the painter, all of which will bring a little bit of light into your life. 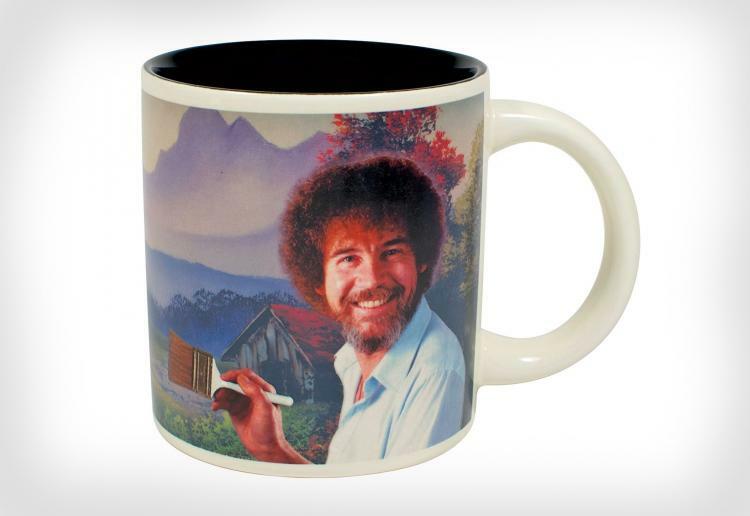 The mug starts off as a picture of Ross on a black background, but as you put hot water in it, the image behind him changes into a beautiful landscape that is a copy of one of his works of art. 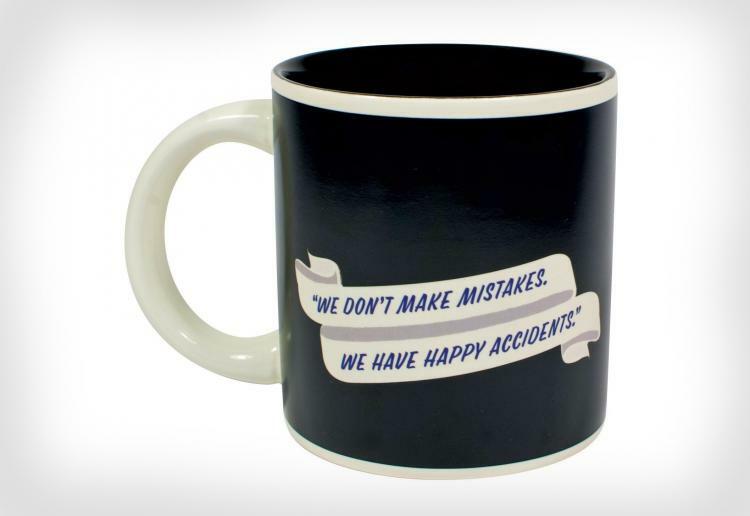 It also has one of his many catchphrases on it that helps everyone feel a little bit better in the morning. 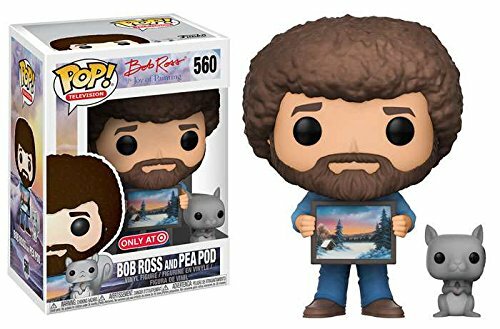 It seems like there is a Pop Figure for everything these days, and it's for a great reason: these things are super cute. 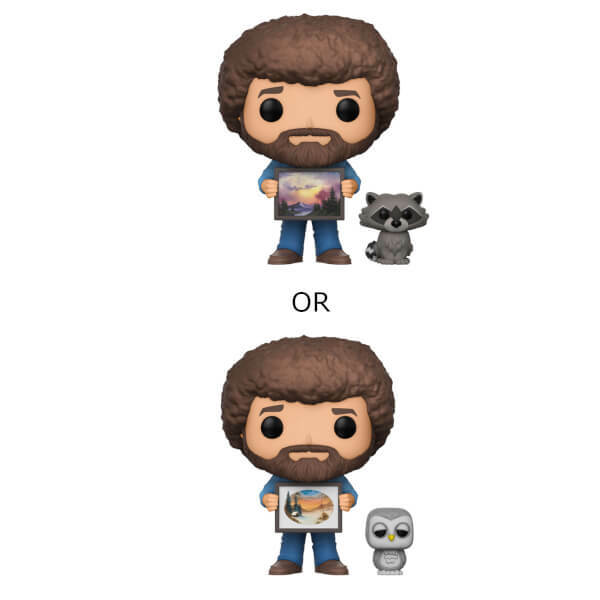 They are actually making a bunch of versions of Ross, including one in his iconic blue jeans, the overall outfit from the opening credits, and then there is one of him with a raccoon, one with an owl, and even one with his pet squirrel Pea Pod. There's a Bob Ross style of sock for every wardrobe and you can get each pair individually for $12 or a pack of six for $60. 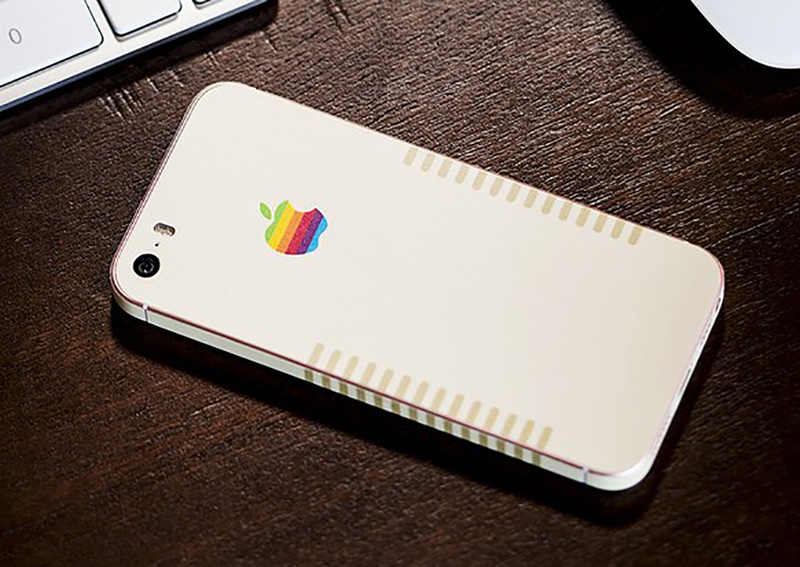 Christmas is coming, time to start planning those gifts! 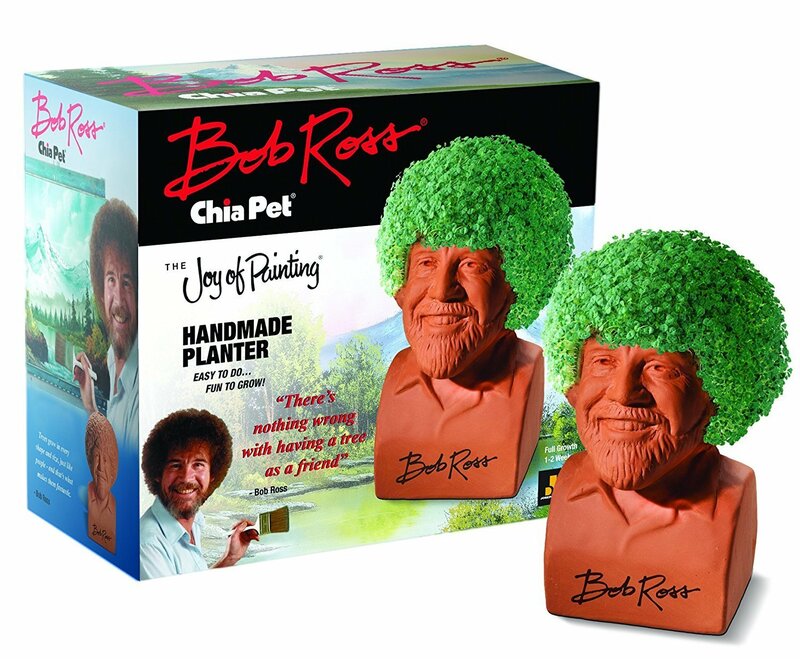 Turn Bob Ross into his own happy little tree, I am 100% certain he would enjoy it. They are only $20 so why not bring a little life to your home! 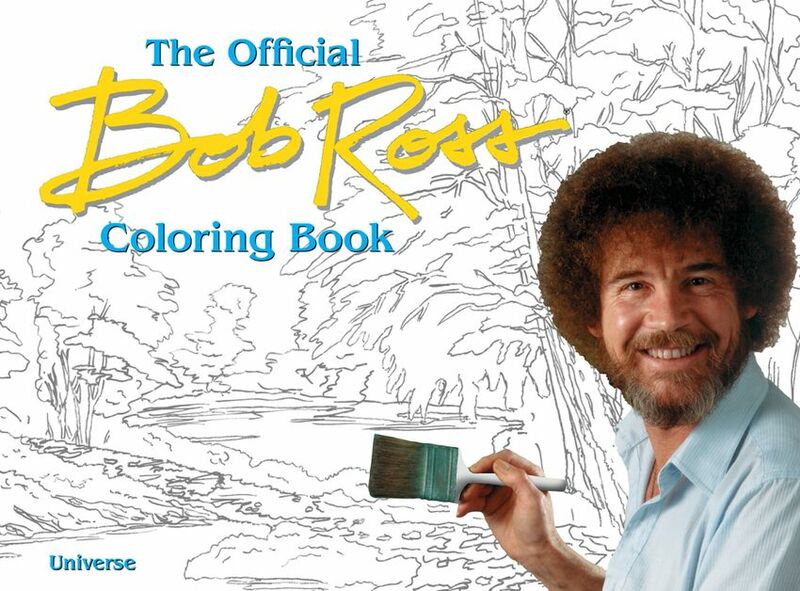 Just because we can't all paint like Bob, doesn't mean we can't take advantage of a simple coloring page. It's the prefect thing to do while you watch the relaxing videos, only it is a little bit less messy and a lot less stressful. 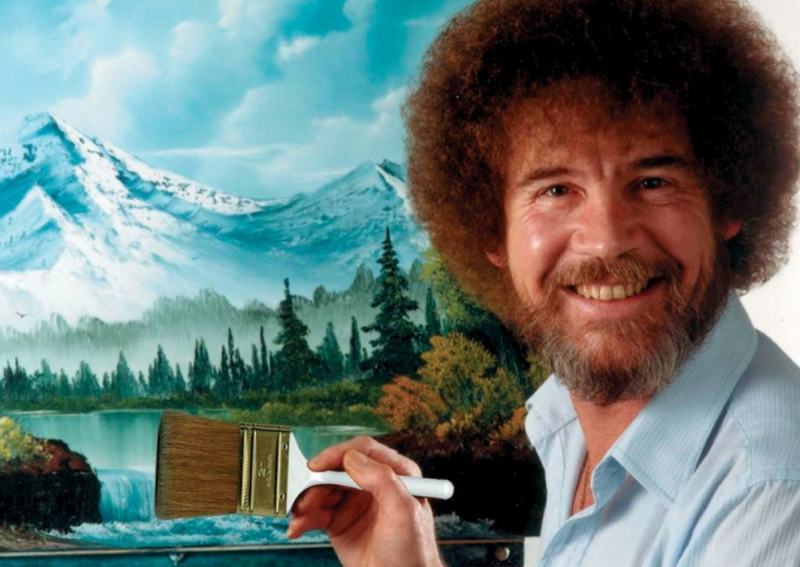 If you want to learn how to be as chill as Bob, you need an amazingly fun game to do it. This is the best way to try and discover your inner artist, but with a slight competitive edge. 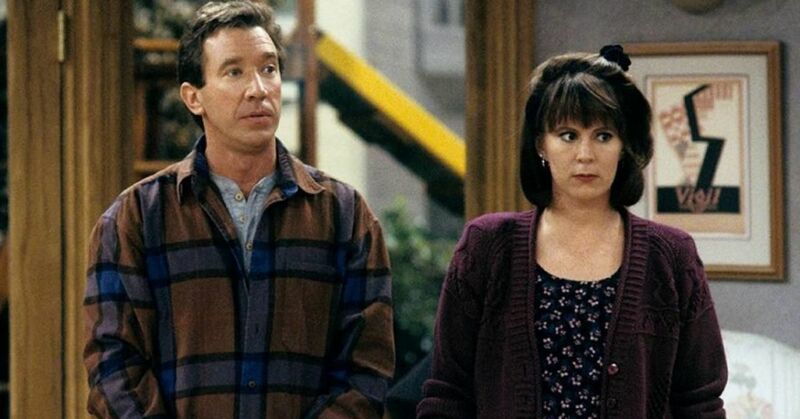 At least everyone is competing to see who is the most chill, so it won't get too intense... right? 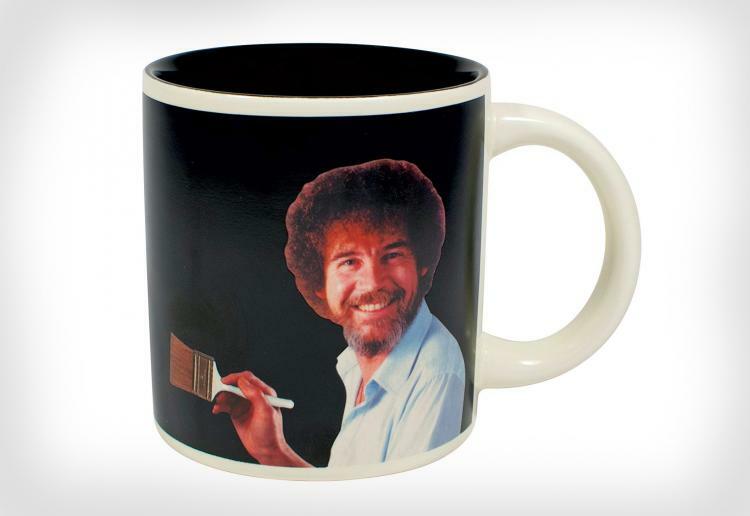 If you love bob Ross but have no artistic skill at all, you may as well just display his art proudly. It's always gorgeous so you really can't go wrong! 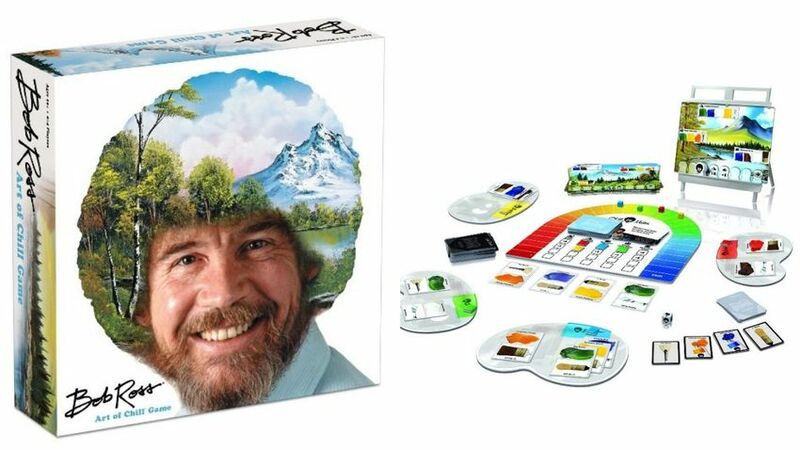 We all have that one friend who is obsessed with Bob Ross, make sure they see this so they can start making their wishlists now!